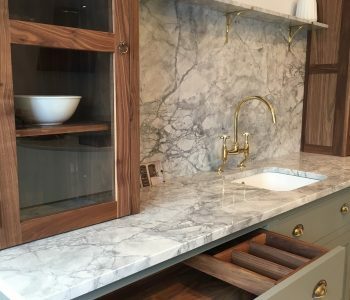 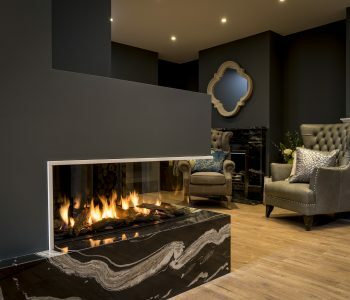 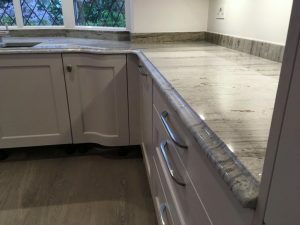 County Stone worked closely again with ‘Rowlands Castle Builders‘ to create exactly what their client desired for their kitchen. 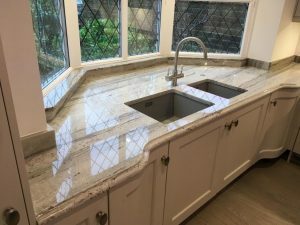 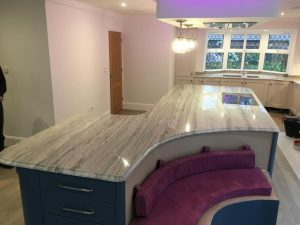 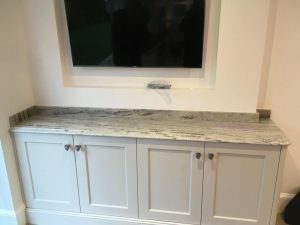 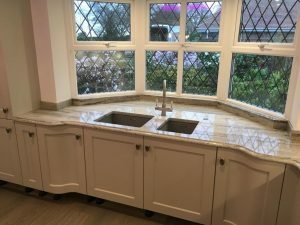 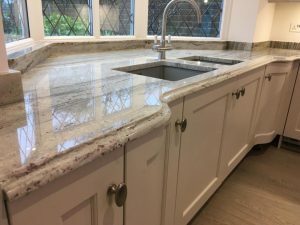 The client decided to have ‘River White‘ Granite worktops to compliment their kitchen. 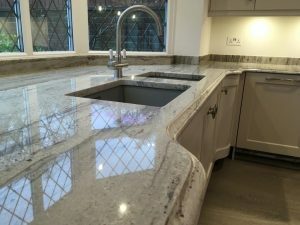 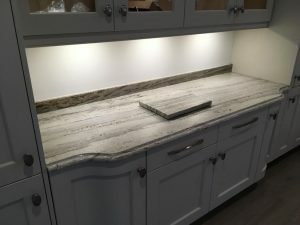 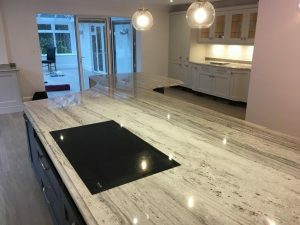 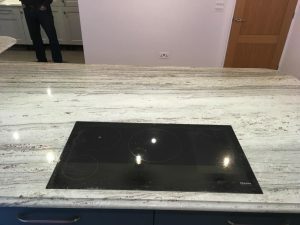 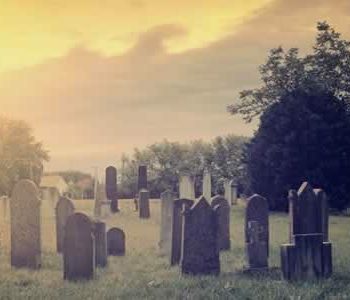 The River White Granite was chosen from our supplier in Italy, River White stone from is from India and this material is part of the “Kashmir” family. 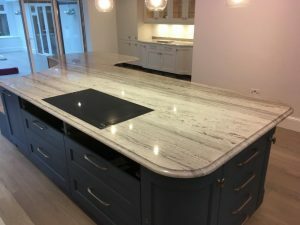 The island was large and extremely heavy that required five men to lift into the house! 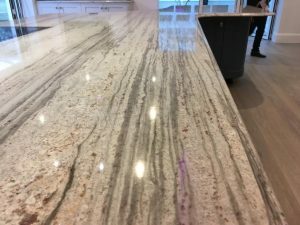 The customers chose ogee for the edge profile. 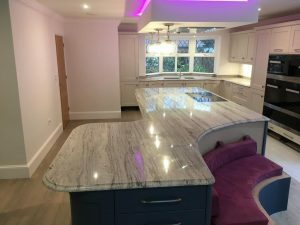 River white has a white base, this light granite has darker hints of greys and blacks rippling through it. 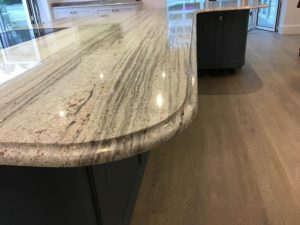 Flecks of red can be seen, while the finish looks almost like a flowing river, hence the name. 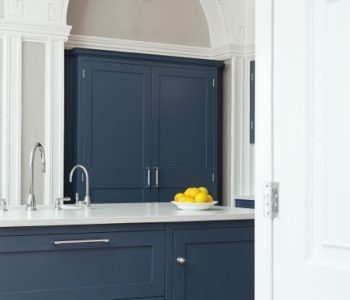 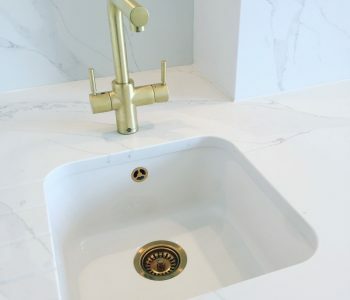 The simple, chic design makes it a popular choice for kitchen worktops, but also for flooring and vanity tops as well.